Pulleys are used in a variety of ways to lift loads and to transmit power. 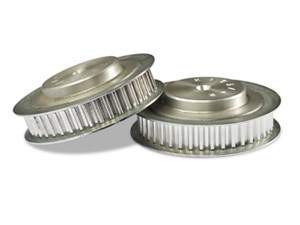 B&F can produce a wide range of timing pulleys of various pitch and width. Pulleys can be manufactured with or without flanges to suit customers’ individual requirements. Special requirements such as nonstandard bores, keyways and special machined features can be accommodated.